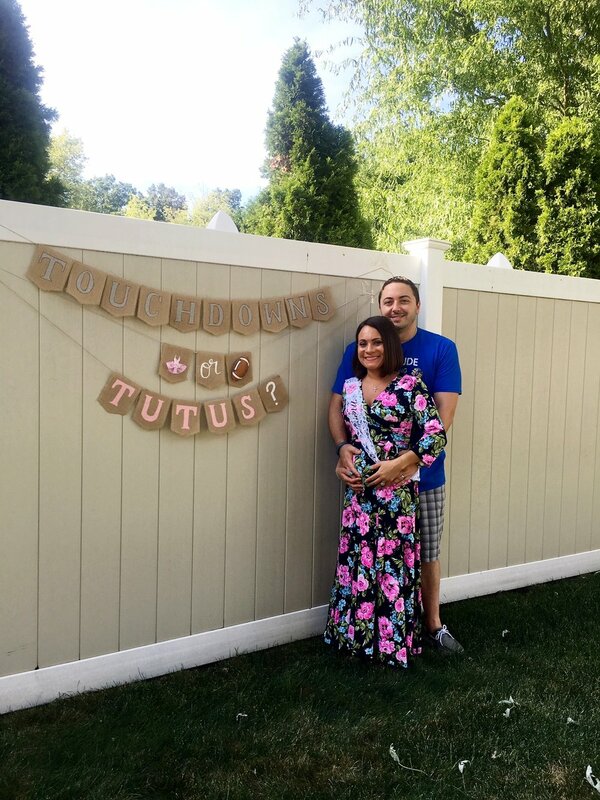 These soon-to-be parents, navigating through their first pregnancy, wanted to have a gender reveal party that was both personal and fun for their guests. 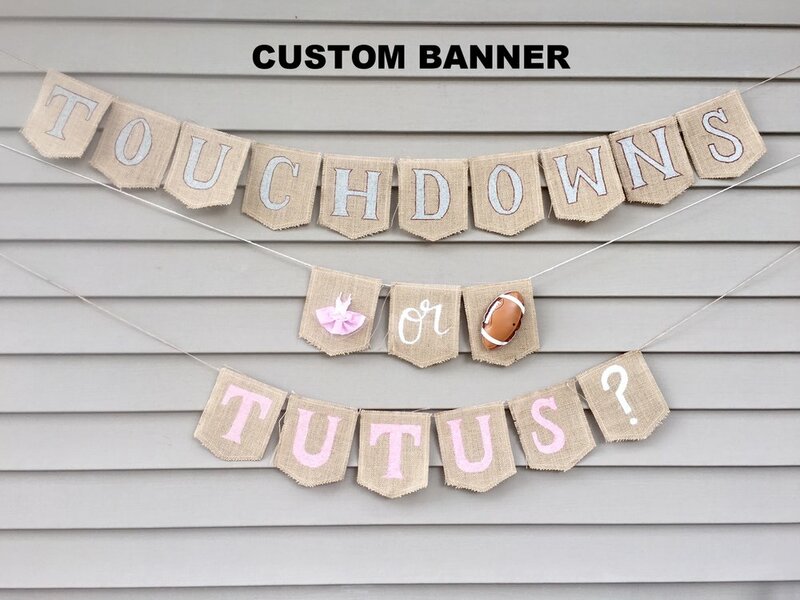 As football fans and patrons of the arts, we worked with them to customize their event with a "Touchdowns or Tutus?" theme. 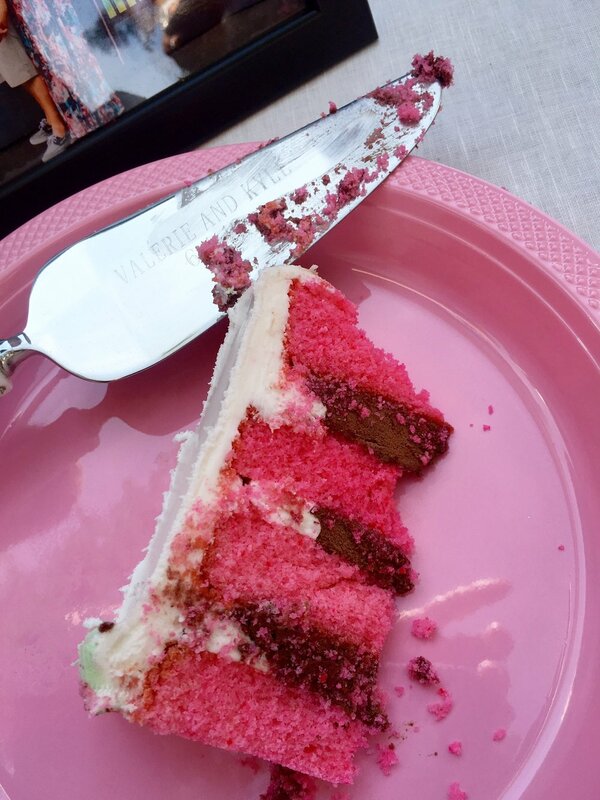 Guests noshed on family favorites as well as the mom-to-be's current cravings. 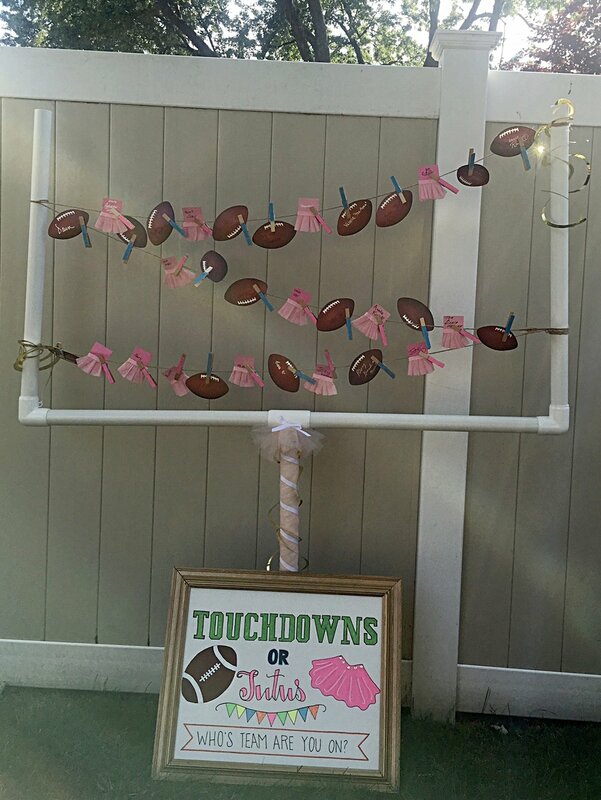 While mingling in the backyard, everyone took a guess at baby Sinatra's gender before the cake was cut.